can you identify my first hammered !!!! 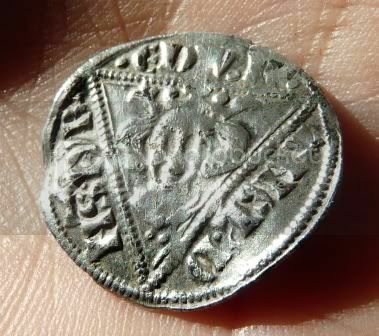 DetectingWales.com > Metal Detecting Discussions > Beat the Doc... Identify your finds here > can you identify my first hammered !!!! Still smiling and holding it in my hand ! Re: can you identify my first hammered !!!! 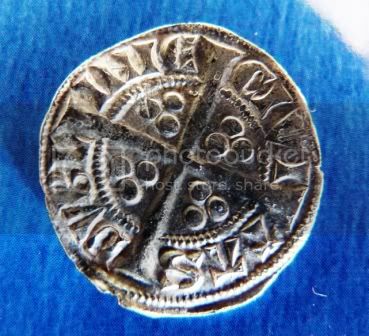 if thats your first hammy,you must be in for a brill future ,ive been tectin a few years with many hammys as finds but that coin is stunning and would make it on to my wishlist,,,,best i could say is irish eddy penny,cracking find well done. wahay!!!! well done Heather,its a beauty isnt it! sorry im useless at i'd's...cant wait until i find one! so chuffed for you!! woohoo!! does it say civi tas dublin??? That is pretty superb for your first hammered! ohh I know, Im beaming ! thank you so much for identifying it for me and thanks for liking it as much as I do, I shall have a good look now and find the right type. It gave a rubbish sound too, and my son said, dig it as I was hesitating, and I did, rather roughly because I thought it was another horseshoe, and this popped out. Felt so bad then - could have cut it in half ! lol. That`s an absolute Beauty Well done Heather ! sorry my memory is bad!! what machine you got heather? please forward the findspot and the pictures to your local FLO [finds liaison officer] for the PAS [portable antiquities scheme]. it's important that all finds over 300 years old are recorded on the national database. if you are not sure who your FLO is, go to www.finds.org.uk and look it up.